Hello Everyone…It has been a great summer and we are happy to welcome you back to the fall for another great season of programming with The Marching Podcast Network. We are happy to announce that starting new this year we are going to broadcast all of our shows live to YouTube. In addition we will keep a day and time consistent for our viewers to expect us to be on the air throughout the calendar year. The 90 Degree Show will broadcast live starting on Mondays September 3rd at 930pm EST…. The 2018-19 90 Degree Show Vol.1 with Bridgette Bell and Rashad Waters. We are also excited to announce the return of The PrunAlysis Podcast with Rashad in conjunction with The 90 Degree Show this Fall. These broadcasts will continue throughout the college football season. We will miss the Great Christy Walker as a regular on the show. She is going to concentrate on her education but has wished us the best of luck and will be welcome to be a guest or a part of the show if she desires. At the conclusion of the College Band Season (Last Major Battle of the Bands at the end of the season) we will start the most listened to podcast on the network, the interview series Choppin’ It Up at 6:30pm EST on Sundays in the Spring. In the Spring before graduation we will have our National Signing Day for Marching Band Podcast on Mondays at 9:30pm. Each year we will pick two high school seniors, one boy and one girl to tell us what school they will attend that fall. We will continue to support the students as they attend college so they are able to be successful and earn their degree. We are excited about the new launch to stream our content live and we hope that you will continue to support the network. Make sure to hit the Subscribe button on our YouTube Channel to connect to our broadcasts! We are happy to introduce the 2015 edition of the Director Series Podcast brought to you by The Marching Podcast and BlogTalkRadio. Last year, we had great feedback for the premiere of the 2014 series. Now, we hope to expand on the knowledge we gained last year. Leading our discussion this year will be our expert from last year, Dr. Kevin O. Davenport Ed.S. & Ed.D. Dr. Kevin O. Davenport Ed.S. & Ed.D has spent 22 years in music education. He has taught all levels of band from elementary school to college, including 10 years as Director of Bands at IC Norcom High School in Portsmouth, VA – his Alma mater. While there, he built the marching band program from thirty-two members to two hundred in a school that had only six hundred students. He has also served as Associate Director of Bands at Tennessee State University in Nashville, TN where he was professor of Music Education for undergraduate and graduate courses. Dr. Davenport also has a website that you can view here. 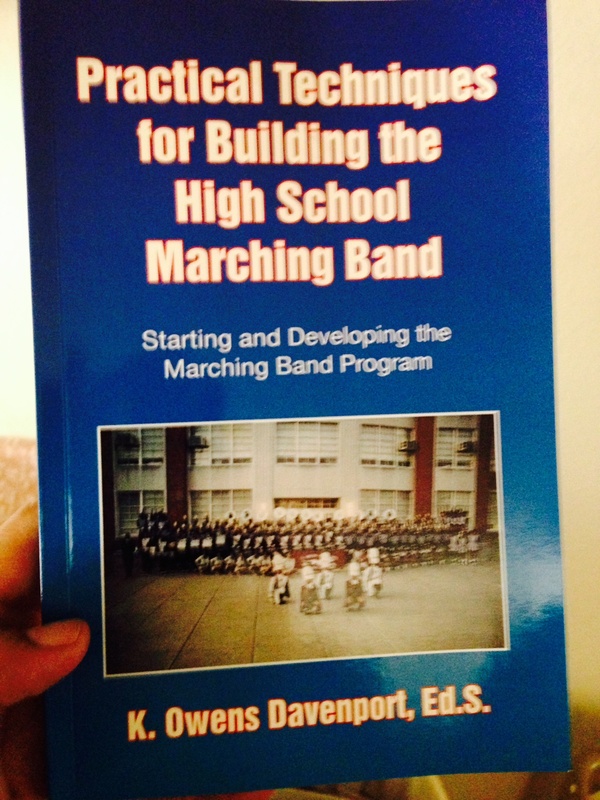 The series is based on the book Practical Techniques For Building The High School Marching Band. Make sure to email Block Band Music and Publishing to get an autographed copy from Dr. Davenport. blockbandmusic@gmail.com. The 2015 edition Director Series podcast will premiere on August 22, 2015. Check out the series below and set your reminder for the 2015 shows. “Teaching Music Through Performance in Band” by Larry Blocher, Eugene Corporon, Ray Cramer and Tim Lautzenheiser. There are nine books in this series. All of this material is tax-deductible for a band director as work-related materials. A list of suggested concert band pieces will come out soon through Block Band. Hello world.. This is Joe Beard here to start documenting the love that I have for black college bands and to create a form of lively hood, promise, future, and community uplift to help change my community and to spread my love of black college bands to the world and to provide an avenue of education to our youth. Of course no one does anything alone so that is why my partner in crime Samuel Glover will be building this empire with me. Not to mention the real brains behind any organization Steve Johnson… we will be applying teamwork that we learned when marching together for the International Institution of Sound Johnson C. Smith. After going our separate ways and with the help of all this new technology we are here to provide a service that we ourselves are dying for. This blog is to post our ideas and to journal our road to what we are going for. We have individually done things to this point so now we are using this site to bring it all together. We would like to have a weekly podcast, that would build our capital and name and soon be an avenue for youth to earn music degrees to college and prepare them for lift. He hope to one day have a music school, a battle of the bands, mock drafts, high school seminars, anything that may excite the pulse of a bandsman so that we can not only build popularity but build community by exciting more of our youth about college and getting an education.